Baby, Girls and Women's Rainbow Tutu. 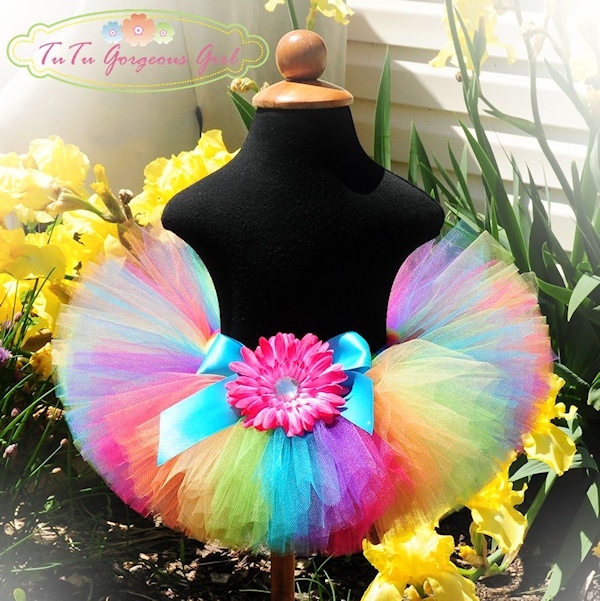 The Candy Rainbow birthday tutu showcases all the brightest colors of the rainbow! 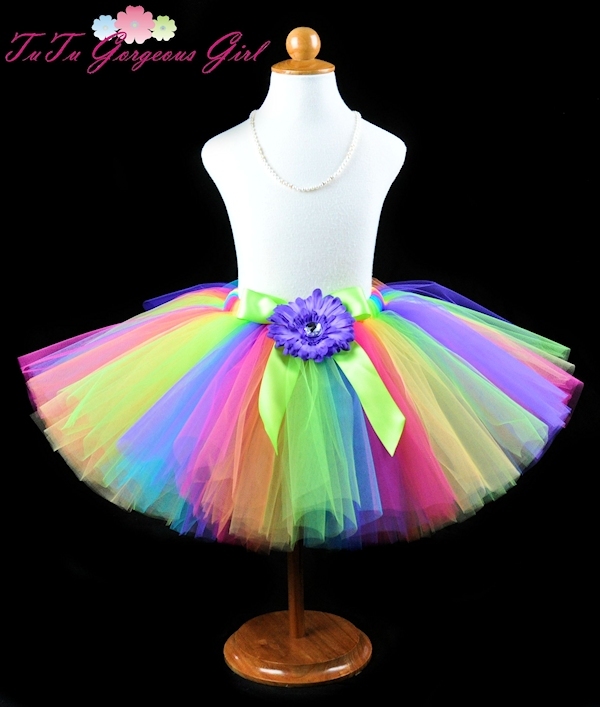 This colorful and fun tutu is perfect for a rainbow themed birthday party, dance tutu, Halloween clown costume or photo prop. The Candy Rainbow tutu features orange, yellow, lime green, purple, hot pink and turquoise in a rainbow striped pattern. Tutu includes a satin bow at the waist and optional flower clip and stretch headband.